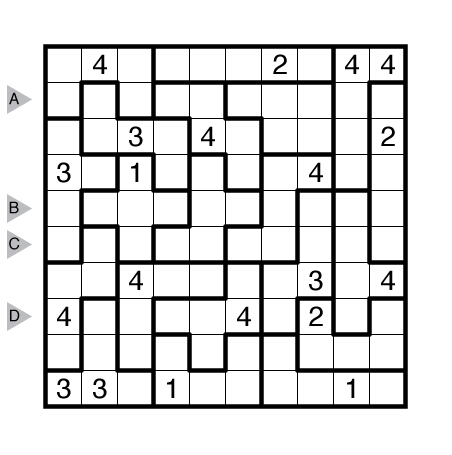 Author/Opus: This is the 4th puzzle from guest contributor Takeya Saikachi. 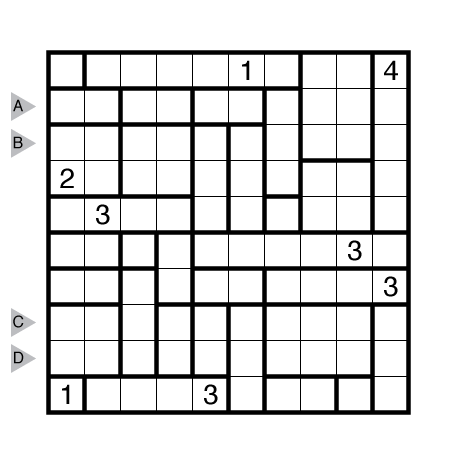 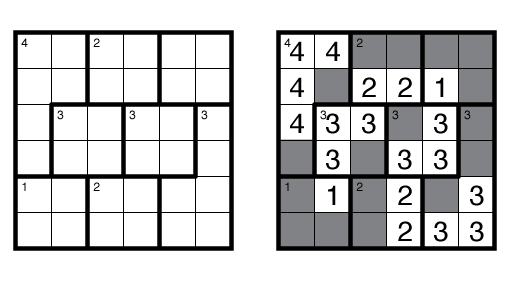 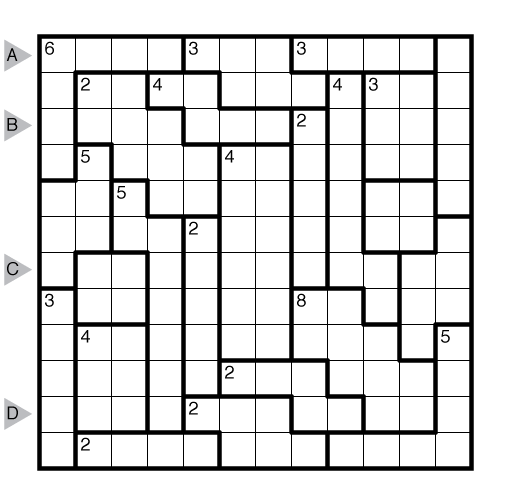 Rules: Variation of Nanro and Nanro Signpost puzzles. 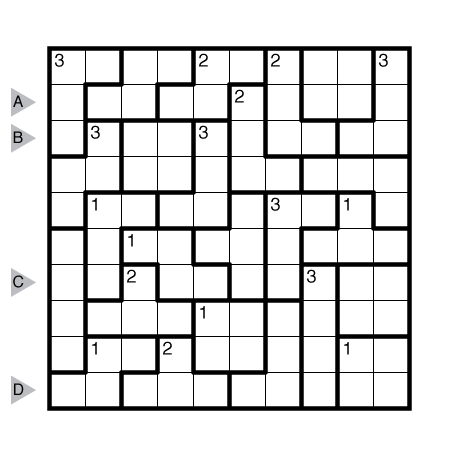 Label some cells with numbers to form a single connected group of labeled cells; no 2×2 group of cells may be fully labeled. 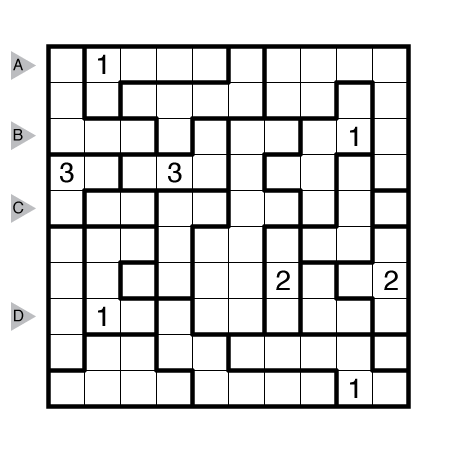 Each bold region must contain at least one labeled cell. 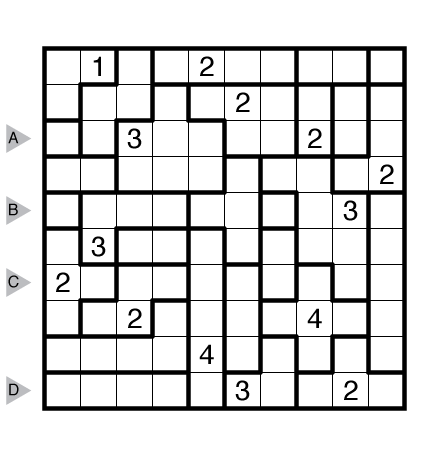 The small clue numbers indicate how many cells in that region are used. 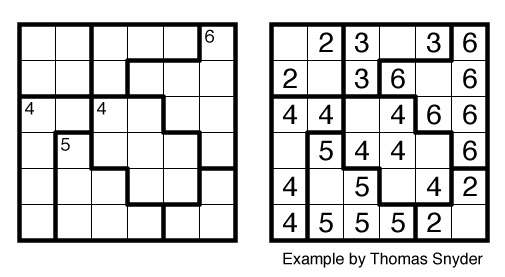 When two numbers are orthogonally adjacent across a region boundary, the numbers must be different. 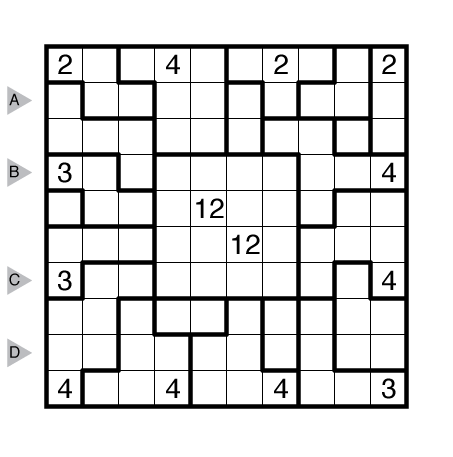 Each bolded region must be visited twice (i.e., have exactly two distinct connected groups inside it).